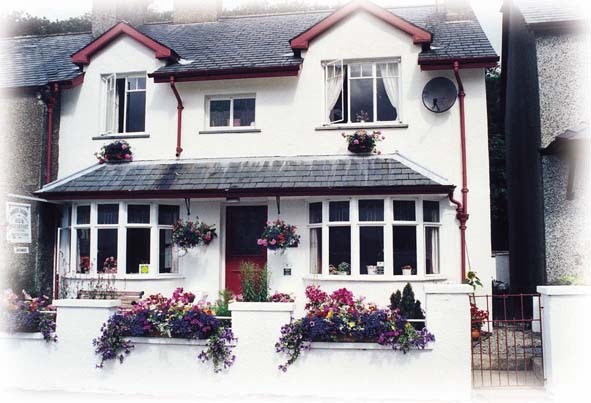 Borth Dairy is situated approximately 1 mile from the harbour town of Porthmadog, and still retains the tranquillity of a small picturesque fishing village. The house enjoys panoramic views of the Harlech coastline with a view of its castle.An ideal place to start exploring the the beauty of Snowdonia. Both rooms at Borth Dairy are tastefully decorated and are non-smoking. They have tea and coffee making facilities, flat screen digital tv with dvd player, hairdryers in both rooms and ironing board available on request. Borth Dairy, Borth-y-Gest, Porthmadog, Gwynedd, LL49 9TP.